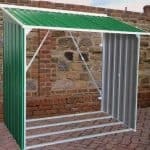 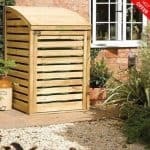 A perfect solution to having unsightly wheelie bins dotted around your garden, this storage unit can accommodate two bins and provides enough protection against the elements to keep things secure and dry. 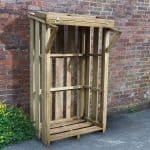 Created using natural timber and pressure treated, the structure is safe against the weather and rot. 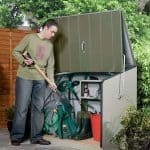 The lids can be attached to the bins themselves, which makes it even easier to use your wheelie bins throughout the week. 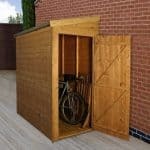 You can also paint or stain the storage unit as required. 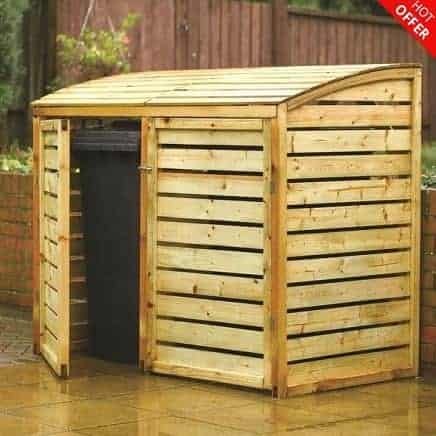 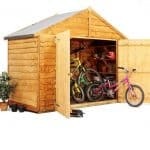 Spacious, the storage unit can hold two 20 litre wheelie bins.